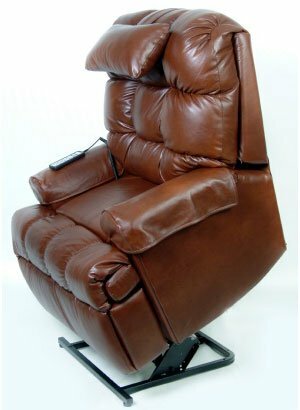 Infinite position, full leather, pre-configured with all options! 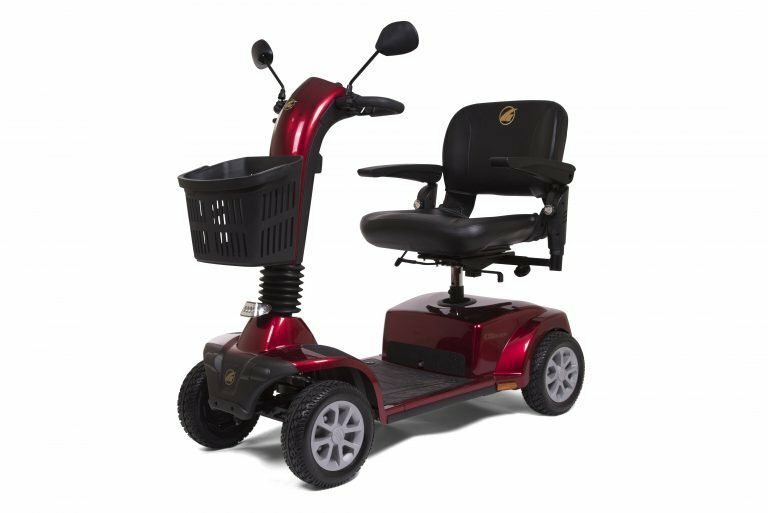 In Stock, Power Lift Chair Specials - Call Today! 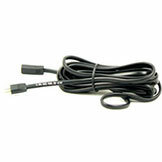 Free Shipping, No Sales Tax*, Luxury Brand Names Discounted! 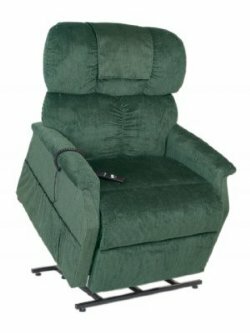 Military & VA Discounts | Lift Chairs Made In The U.S.A. 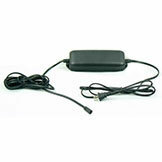 Call 800-798-2400 for labor day specials! 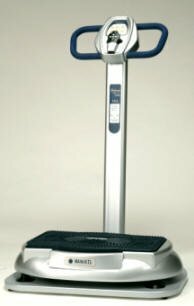 Your Height: Select One 4'9" or Less 4'10" 4'11" 5'0" 5'1" 5'2" 5'3" 5'4" 5'5" 5'6" 5'7" 5'8" 5'9" 5'10" 5'11" 6'0" 6'1" 6'2" 6'3" 6'4" 6'5" 6'6" 6'7 or More"
Electric Lift Chair Recliners add freedom and comfort to any person's daily life, who has trouble getting up and getting comfortable in regular furniture. 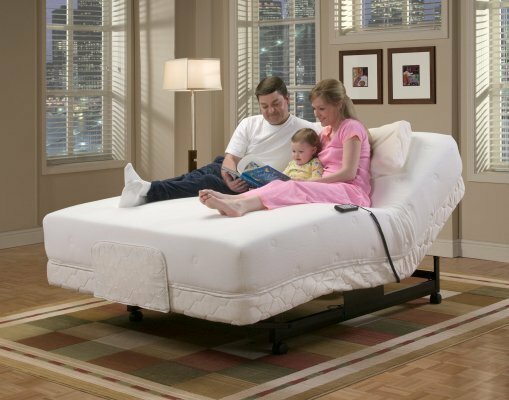 Many people can benefit, such as those with arthritis, hip problems, knee problems, diabetes, stroke victims, shoulder weakness, leg swelling, neuropathies, and those recovering from any type of surgery. 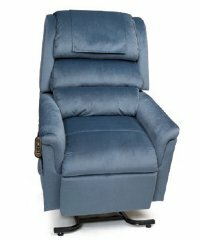 Liftchair.com offers the finest selection of top of the line lift chair recliner furniture from manufacturers such as Golden Technologies, Med-Lift and Mobility, Okin, and Hubbell. 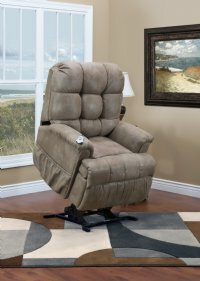 We offer expert help selecting a lift chair recliner that fits well. 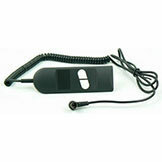 Receive an extra discount off on any order for 2 or more lift chairs. 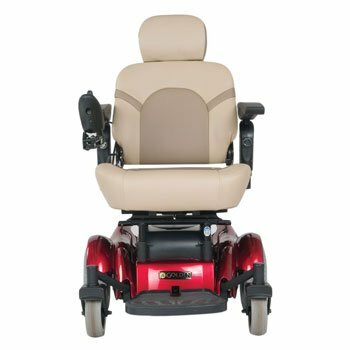 Generous discounts, specials, and factory direct sale prices are available on all lift chairs, electric scooters, adjustable beds, wheelchairs, oxygen concentrators, and all other types of medical equipment. 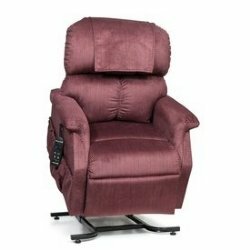 We have electric lift chair replacement and repair parts for Golden Technologies lift chairs, Pride Lift Chairs, Med-Lift lift chairs, La-Z-Boy liftchiars, Berkline lift recliners, and all other brands. 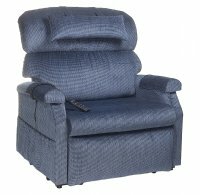 We will help you select the best fitting lift chair possible from the widest selection of fabrics and options from the best lift chair manufacturers. 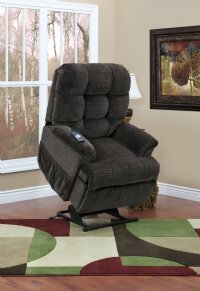 Our many lift chair options include heat and massage, memory foam seat, head pillow, 90 lb to 700 lb capacity, lift chairs for persons 4'8" to 6'8", 3.5" leg rest extension, extra pockets, left side controls, full top grain leather on every part of lift chair, full sleeper / lay flat, zero gravity, elevate feet above heart, straight up vertical lift, short seat, reversible seats, tall backs, infrared heat, fabric guard, side tray tables, under arm compartments, in home set up, and more. Get the best fit and all the options you desire by calling Liftchair.com today at 1-800-798-2499. 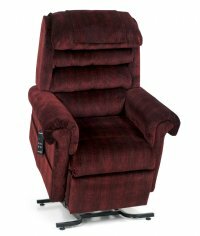 We will help you pick out the best lift chair for your needs and give you an unbeatable price on your new lift chair. 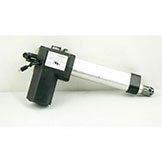 Call Us Now For Service And Prices You Will Enjoy.